I have been watching this very necessary yet disgusting debate on social media in the wake of the attacks in Paris. I have observed. I have my opinions. Most of which may not be palatable to some, especially some fellow Kenyans. I’ll share them now. This is simply my opinion, one which I am entitled to and one that is meant to make you think. Islam of course. Most of these attacks have been carried out in the name of Islam and I therefore would have no qualms placing the blame squarely on Islam. This is a reaction anyone would have. It is a reaction that has already been had by many people. It is one that has been and will be used to threaten the lives of and discriminate against millions of Muslim individuals around the world. But wait, I am not done yet. Reza Aslan in an interview with CNN said something that I have carried with me ever since I saw it. When he was asked whether Islam promotes violence, his brilliant response was that Islam does not promote violence or peace. Islam is just a religion and like every religion in the world, it depends on what you bring to it. If you are a violent person, your Islam, your Judaism, your Christianity, your Hinduism is going to be violent. He went ahead to give an example of what is considered the least violent religion, Budhism, being used to perpetrate the slaughter of women and children in Myanmar. People, due to various reasons, are violent or peaceful. 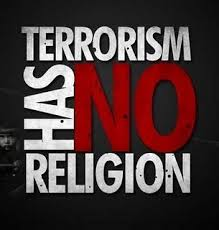 We therefore cannot, and should not condemn an entire religion based on the actions of a few individuals. There are 1.57 billion Muslims in this world. An estimated less than one percent of that population are at risk of becoming radicals. These are the people that need to be dealt with. They are the ones who perpetrate the kind of violence in the name of Islam that we see in the world today. To quote Dr. Aslan again, these kinds of oversimplifications only cause more danger. There is a very real problem. ISIS, Al Qaida, the militant Islamic groups like Hamas, Hezbolah and the Taliban have to be dealt with. But it doesn’t really help us to deal with them when instead of talking about rational conflicts and criticisms of a particular religion, we instead slip so easily into bigotry by paining everyone with a single brush as we have been doing in this conversation. To also quote the Holy Qur’an as my good friend Michael Timm highlighted in his quest to educate the masses, revealed approximately 1400 years ago, the Holy Book states most categorically: “There is no compulsion in religion”. (Ch 2 V 257) and “It is the truth from your Lord, where fore let him who will believe and let him who will disbelieve.” (Ch.18 V.30). It is our individual interpretations of religious texts that makes us do what we do in the name of religion. And it is the violent people’s interpretations of these religious texts that lead us to witness 9/11, Garissa, Beirut, Syria, Paris and countless other lives pointlessly lost supposedly in the name of religion. Has there been a disparity in reactions? Absolutely. I have seen many Kenyans (and non-Kenyans) on my timeline say that they will not put up the Facebook filter in solidarity with France. Reasons for this range from the fact that there was no such solidarity shown the previous day when Beirut was hit. The Garissa attack back in April came back to haunt us. Some even went to the extent of saying that they will not show solidarity because some African countries still pay colonial taxes to France. I cannot comment on this as while these sentiments may be valid, stooping that low when lives have been lost is something I will not do. Halima Saadi, 33, and Houda Saadi, 34, sisters from Tunisia were celebrating a birthday in a Paris café when they were attacked. Ludovic Boumas a French national, tried to save them but all three eventually died. Juan Alberto Gonzalez Garrido, 29 from Madrid, Spain was also at the Bataclan concert. He was an engineer living in France with his wife who managed to escape after they got separated amid the mayhem. Italian national Valeria Solesin, 28, of Venice, had been living in Paris for the last six years. She was attending the concert at Bataclan Friday night with her boyfriend who survived with a minor injury. Ali Awad, a 14-year-old, ran outside to see what had happened after the first blast in Beirut and was caught in the second. Adel Tormous, hailed by many as a hero died tackling the second bomber. Khodr Alaa Deen, a registered nurse, was on his way to work his night shift at the teaching hospital. Before making blanket statements on whether or not to stand in solidarity with France, or Lebanon or any other country hit by terrorism, think about the young lives lost. These people had families and friends. They had vibrant lives before the cowardly actions of a few individuals hell bent on destroying the world. Think about these people and stand in solidarity with them. Granted there are discrepancies in the level of concern shown by the global media on atrocities happening in Africa and the Middle East but when lives have been lost, this is not the time to think of our differences. It is the time to think as one. As a global community terrorized by extremists. As people who, at any given time, could fall victim to the same heinous acts. I stand in solidarity with a world facing terror from all angles. The cause being that we refuse to embrace the diversity that makes this world beautiful. We refuse to understand that we will all never be the same. We need to end these petty squabbles about what Facebook did or didn’t do and start thinking about the people who lost their lives, those who lost their loved ones and those whose lives will be eternally different because of terrorism. We need to figure out a way that works to end terrorism because what we have been doing clearly hasn’t worked.